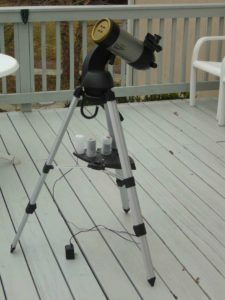 4″ f/13 Maksutov with go-to and tracking features. Key pad with 4,000+ objects. Includes red LED StarPointer, tripod, power transformer and user manual. Alt-az mount.